On Feb. 4, 2019, Joyce Atrell Herndon-Bozeman passed peacefully from this life at her home with her daughter by her side. She was 87. Joyce was born in Almartha, Missouri, on Nov. 17, 1931, to Ed and Floy Herndon. She was later joined by brothers, Afton, in 1933, and Alvin, in 1945. The family came to Quincy in 1940. They lived at the logging camp at Butterfly Valley before buying property on Elm Street and building a house. She began her schooling in Quincy at the old school at Church and Main. 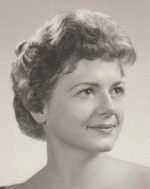 Joyce later attended Pioneer School and Quincy High School and graduated in 1950. After Joyce and Ralph married, they traveled the U.S. and parts of Canada, towing their Fleetwood trailer for Pole Sprayers Inc. In 1959, son Shane was born. He was followed by daughter, Betty, in 1961. When the children reached school age, Joyce and Ralph returned to Quincy to settle on Second Street for good. Joyce began as a volunteer aide at Pioneer School in 1966. That led to a job as teacher’s aide which she loved. She retired in 1992. Joyce loved to read and collect things such as tea kettles, blue willow and dried weeds, with which she created her own art. The major source of joy for Joyce was her family. After her retirement, she had coffee with her parents almost daily, along with any other family and friends who dropped by. Joyce was a past member of the Order of Rainbow for Girls, Rebecca’s, PTA, Emblem Club and Eastern Star. She also served with the Plumas Co. Mental Health Commission and helped to bring the Sierra House to Quincy. Joyce was dedicated to her family. She was kind and caring and had a smile for everyone, even as her health declined. Joyce is survived by her son, Shane and daughter Betty, of Quincy; her brother Afton, of Klamath Falls, Oregon; her brother, Al, of Quincy; and her very special nieces and nephew. 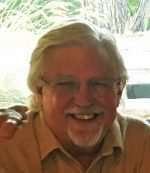 A memorial service is planned for 11 a.m. Saturday, March 30, 2019, at Our Savior Lutheran Church in Quincy. Ed was born in Los Angeles County on May 16, 1939, to John Robert Burton and Viola Kathleen Tillet. Ed was named after his father’s brother Edward who had passed away as a teenager. 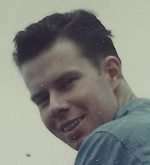 After high school Ed enlisted in the Navy at 18 years old in 1957, where he was aboard the ship USS Yuma 94. Ed served in the Navy four years. He went on to work for Deluxe Printing Corporation for 31 years before retiring. Ed loved the mountains and fishing, which led him to Lake Almanor, a place that he has always loved. 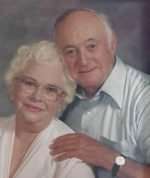 He lost his battle Feb. 20, 2019, to congestive heart failure at the age of 79. Graveside services will be held at 2 p.m. Friday, March 29, at Westwood Cemetery. View obituary and send condolences online at affordablemortuary.net. Born to Harold and Evelyn Beeson in Oroville, on Nov. 7, 1937, Carol spent her childhood in the hard scrabble lumber camp of Grays Flat in the Feather River Canyon and later in Marysville, where Harold continued his life’s work as a sawmill planer. The Beesons moved to Reno in 1951, where Carol graduated from Reno High School in 1955 and the University of Nevada Reno in 1959. Also in 1959, Carol married Gordon “Gordy” Cronenberger, and the two began their 59-year adventure together. While living in Eureka, they welcomed two daughters, Loni and Wendy. The Cronenbergers returned to the eastern Sierras and settled in Carson City, Nevada, in 1970, where Carol distinguished herself as a first grade teacher, receiving the “Light of the Education” award in 1988 and again in 1999. 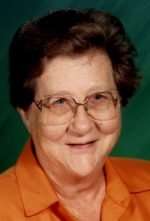 Carol retired in 1999 after teaching most of her career at Bray Elementary School. Carol often said her “bags are always packed!” Whether short trips to visit family or frequent ocean cruises, Carol loved to travel. She enjoyed the splendor of creation and watching people. In her later years, she regularly enjoyed her mornings at the pool, summer Saturdays at the farmers market, Sunday brunch and visiting her daughters and their families. Carol was always polite and considerate. She had a ready laugh and a very quick wit, usually at Gordy’s expense. Carol had a soft spot for animals of any kind, especially babies. She loved Carson City and was delighted to make it her home for the past 49 years. Carol was a faithful and devoted wife, mom, and mother-in-law and an extraordinary grandma. She was kind and gracious and always a good neighbor. Surrounded by family, Carol passed away peacefully on March 14, 2019, in her home of 46 years. She was preceded in death by her parents, Harold (1979) and Evelyn Beeson (2000), and older sister, Beverly Stenson (1997). Survivors include husband, Gordy Cronenberger, of Carson City; daughter, Loni (Cronenberger) and Rob Holley, of Dayton, Nevada; daughter, Wendy (Cronenberger) and Les Rispens, of Belgrade, Montana; and grandchildren, Daniel, Caleb and Anna Holley, of Dayton, and Samantha and Kassidy Rispens, of Montana. Surviving family also includes sister-in-law, Patricia Chase, nephew, Steve Chase and nieces, Karen Riley, Julie O’Leary, Peg Navarette and Jennifer Dankers. A gathering of close friends and family was held at the Cronenberger home on Tuesday, March 19, at 2:30 p.m. In lieu of flowers, donations in memory of Carol Cronenberger may be made to the Alzheimer’s Association at 639 Isbell Rd, Ste. 240, Reno, NV 89509. Our sincere gratitude to St. Mary’s Hospice program for their incredible support and caring staff. 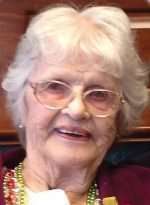 Anita Jean Frank, who enjoyed singing in the Chester Community Chorus, playing bridge and being part of the Ladies Niners at the Lake Almanor Country Club, died on Feb. 18, 2019, at age 87. Anita Regier was born on April 22, 1931, in Mountain Lake, Minnesota. She was married to the late Jack Dewey Frank for 62 years, over 25 of which were spent in Lake Almanor. Anita sang with Sweet Adelines for over 20 years and was involved in a few barber shop quartets, most notably, the Honey Tones of La Mirage, Arizona. She spent the last three years of her life living in Rancho Murieta and continued her love of singing with the Murieta Voices. Her favorite position was being school secretary at Otto A. Fisher School in Orange County, a juvenile court school. She and Jack lived in many different states (Minnesota, Washington, Pennsylvania, New York, Arizona and California), and spent a few years in Germany, where her oldest son was born. She was preceded in death by her brother, Clayton Regier; and sisters, Wanda Mohr, Susan Franzen, Elsa Adler and Elva Regier. Anita is survived by her sons, Tom Frank, Mick Frank, and Tod Beckett-Frank; daughter, Kathi Kankis; six grandchildren; nine great-grandchildren and “adopted” family friends, Manny Maldonado and Srinath Balanchandran. She will be buried alongside her husband in Lake Almanor, where they retired and loved living for over 25 years. Services will be private. Colleen Evelyn Freschi passed away peacefully on Friday, Feb. 22, 2019, at the age of 94, surrounded by her family. Colleen was born to Lester Clark and Fern Hills on Oct. 10, 1924, in Flint, Michigan. She spent her entire childhood and attended high school in Flint before moving to Martinez, in 1944. In 1950, Colleen married the love of her life, George Freschi. They were married for 57 years and had three children — Michael, Clark and Gina. Colleen was a very devoted wife and mother. She enjoyed traveling with her family, entertaining friends and attending sporting events at Alhambra High School. Colleen had many friends and was known for her quick wit and wonderful sense of humor. While she had many hobbies, in her later years, she became very interested in genealogy and would spend hours tracing family history. The last 12 years of her life were spent in the mountains, where she was able to spend time with many of her grandchildren, who she adored. The family wishes to thank the staff at EPHC Long Term Care Facility for the loving care they gave in Colleen’s last few years. Colleen was preceded in death by her daughter, Gina, brothers, William and Lester and husband, George. She is survived by her sons, Michael (Kathy), of Calpine, and Clark (Sharon), of Roseville; and grandchildren Zack, Sara, Lisa and Bryan; as well as 10 great-grandchildren. Services were held on Friday, March 1, at 11 a.m. at Connelly & Taylor in Martinez. Joe Saunders, 68, passed away suddenly at his home in Clio, on Feb. 24, 2019, shortly after finishing a puzzle with his grandson, Michael. Besides his avocation as a musician, Joe worked briefly as a piano tuner, but his primary career was in the wholesale flower business throughout California. He initially worked in the North County, and later worked and lived in Watsonville, Humboldt area, and then Ventura County. It was in Ventura County, and in the flower industry, that he met his best friend and love of his life, Libby Mullikin, to whom he was married and with whom he was living his “Dream Life” in Plumas County at the time of his death. Joe and Libby loved life on their mini-ranch in Plumas County, where they enjoyed the company of Joe’s son by previous marriage, Spencer, their grandson Michael and several fur babies, chickens, and ducks. They enjoyed hiking, visiting local lakes, playing pool and cribbage. Besides his wife, son and grandson, Joe is survived by his sister, Martha, his brothers, Mark, George, Tim, and Alan, and their spouses and families. Joe is also survived by Libby’s children from a previous marriage and their eight grandchildren, all of whom he also embraced as family. Joe was a revered and well-loved husband, brother, father, grandfather and friend. He was a kind and gentle soul, with a wonderfully droll sense of humor, who will be greatly missed by all.